1001 Ways to be Romantic - Gregory J.P. Godek - Truly a best seller from "America's Romance Coach!" This book will help you if you are bankrupt in the romance department. Pick a number between 1 and 1001 and get busy re-creating romance in your relationship. Also check out 1001 More Ways to be Romantic. Larry's Review: Need an idea that will help you put the romance back into your relationship? You must read both of Greg's books. Do what I do. Pick up one of these books and surprise your partner with some creative romance. I've known Greg Godek for over eight years. He knows more about romance than anyone I know. Highly recommended! The Lover's Bedside Companion: Thoughts on Living the Romantic Lifestyle - Gregory J.P. Godek - Not just another "quote" book... Rather an inspiring and practical book filled with meditations to be read at bedside. 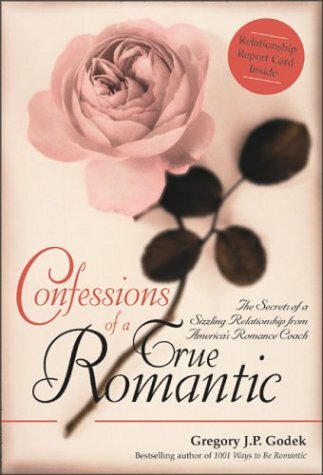 Confessions of a True Romantic: The Secrets of a Sizzling Relationship from America's Romance Coach - Gregory J.P. Godek - 447 pages of pure Love! It's time to learn about life's most important subject. This book was formerly published under the name, "Love: The Course They Forgot to Teach You in School." Larry's Review: This is undoubtedly the most "complete" book ever written on the subject of Love. A great home study course. Men Are from Mars, Women Are from Venus - Dr. John Gray, Ph.D. - A practical guide for improving communications and getting what you want in your relationships. Larry's Review: Men and women are really different. However, nothing is cast in bronze. Women often display Martian qualities and men often display Venutian qualities. This book will help you better understand the differences and the similarities. Browse the John Gray Book Shelves in Larry's Book Store.